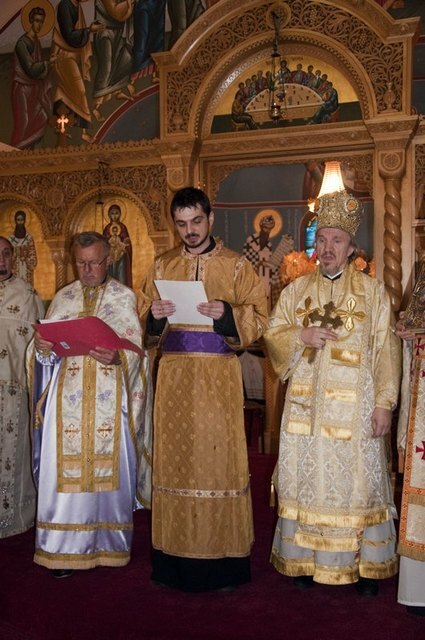 St. Petersburg, FL - His Grace Bishop Dr. MITROPHAN scheduled the Third Annual Christian Education Meeting for Saturday March 13, 2010 at the St. Sava Serbian Orthodox Church in St. Petersburg, Florida. The Deanery Meeting was scheduled in conjunction with the Clergy Confession for the Deanery. This Deanery continues to expand and grow. 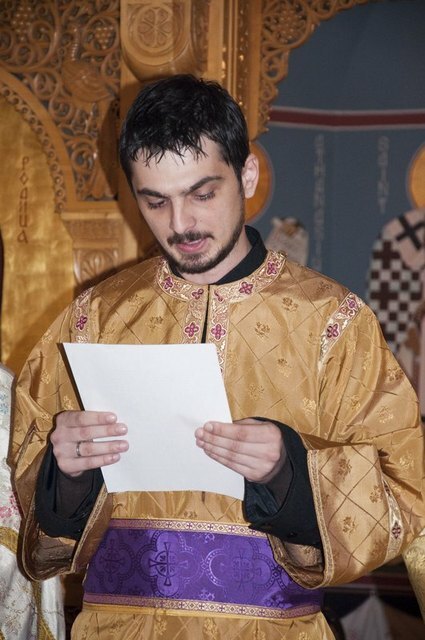 His Grace officiated at the Hierarchical Divine Liturgy during which St. Sava School of Theology graduate Bosko Stojanovic was ordained to the Holy Diaconate. The next day he would be ordained as a Presbyter. 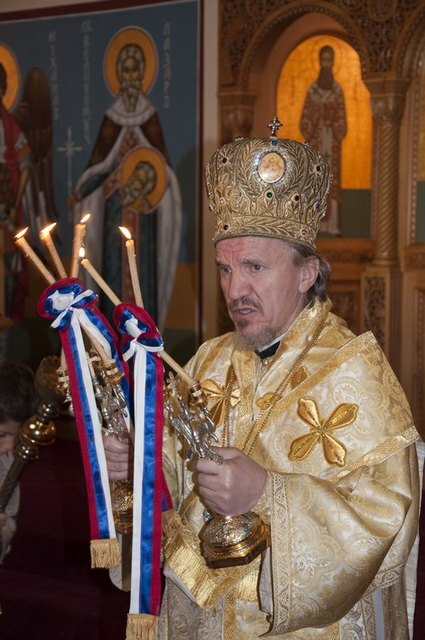 Serving with His Grace were Very Reverend Stavrofor Miloje Raicevich, Very Reverend Stavrofor Jovan Todorovich, Very Reverend Svetozar Veselinovich, Very Reverend Stephen Zaremba, Very Reverend Dr. Rodney Torbic and Reverend Father Ljubisa Brnjos. Sub-deacon Mark Gaydos assisted in the altar with several altar servers including sons of Prota Zaremba and Father Brnjos. Protopresbyter Stephen Zaremba hosted the Deanery meeting and warmly welcomed the participants. Reports on church school classes and programs were presented from each of the parishes of the Deanery. The Deanery consists of parishes in Atlanta, Georgia; Greensboro and Charlotte, North Carolina and Florida parishes in Jacksonville, Orlando, St. Petersburg, North Miami, North Port and Clearwater. 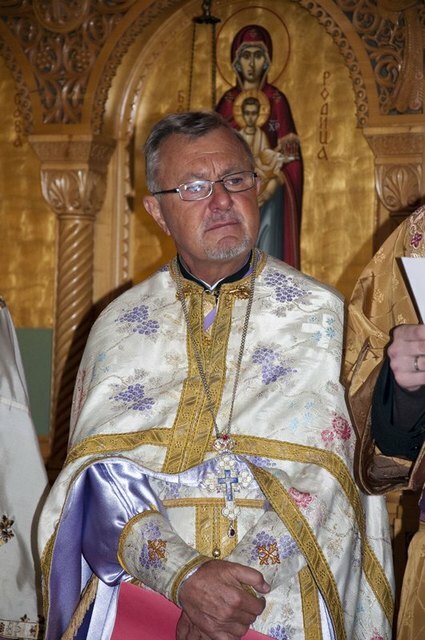 In addition to the clergy previously mentioned, the following individuals also participated in the meeting: Father Dragan Zaric( North Carolina), Father Sasa Turkic, Father Stanislav Kravljaca, Father Dragan Zaric(North Port), Protinica Svetlana Zaremba, Popadija Natasha Brnjos and Pete Puhar. Dean Dimitrijevic was on hand to photograph the proceedings. The written reports of each of the parishes in the Deanery describing their Christian education efforts will be published in booklet form and distributed to other Deaneries in the Diocese. A general discussion on Christian education in the Deanery was a vital part of the current meeting and of each Deanery Meeting in the Diocese. His Grace Bishop Dr. MITROPHAN consistently schedules and participates in the Deanery meetings throughout the Diocese reflecting the high priority that exists for Christian education. 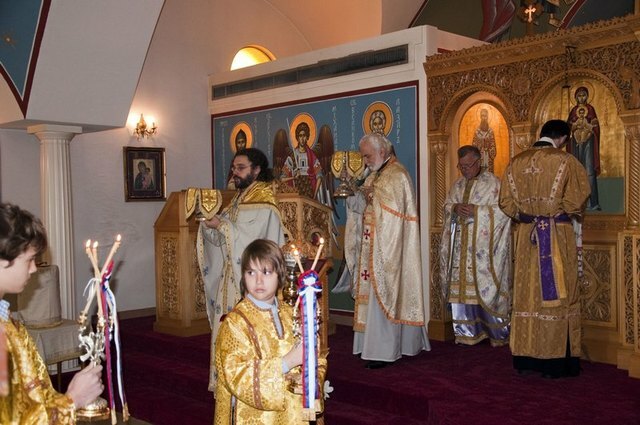 The primary importance of adults and children consistently attending and participating in the Divine Liturgy was stressed throughout this meeting. 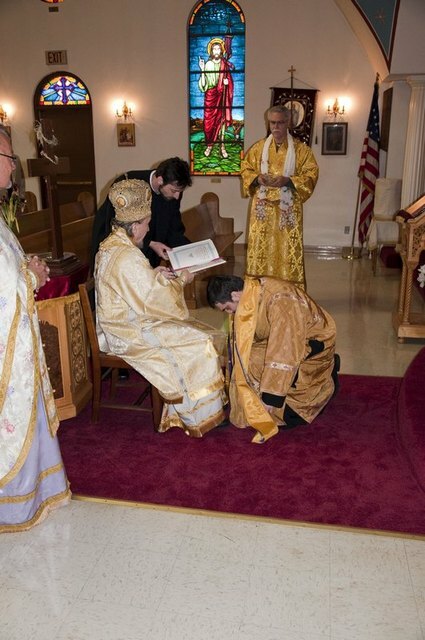 The gracious hospitality of the St. Sava Church was recognized. Host priest Prota Zaremba and the parish workers preparing the luncheon were thanked for their efforts.